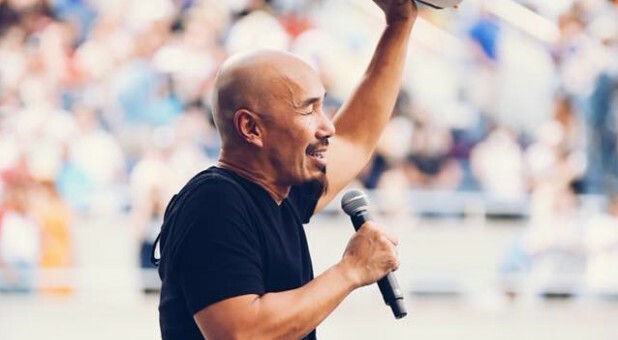 Though speaker and pastor Francis Chan is not on social media, he says it was brought to his attention that some people were concerned about his choice to speak at The Send and other events with "false teachers." The Send, a gathering of nearly 60,000 in Orlando last month, featured speakers including Lou Engle, Benny Hinn, Todd White, Daniel Kolenda, Michael Koulianos and more. 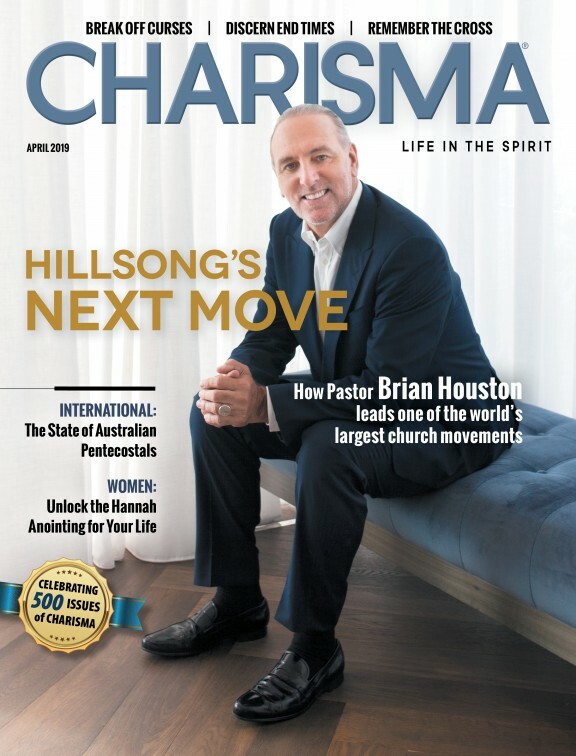 In a lengthy statement posted to wearechurch.com, Chan addresses these concerns, as well as his beliefs about the prosperity gospel, his refusal to denounce certain preachers and more. Click here to read the entire statement, but here are some of the highlights. My understanding of that term is that it refers to teachings which imply that if you follow Jesus, He will make you healthy and wealthy. It is often used to attract people to make a decision to follow Jesus so that they can spend the rest of their lives in health and prosperity. The New Testament does not teach that everyone should expect riches on earth. Instead, it teaches that we shouldn't really care about earthly possessions. We have been given something far greater, so we can be content with basic necessities (1 Tim. 6:8). Jesus taught his disciples to pray "give us this day our daily bread." We are promised provision, but not riches on earth (Matt. 6:31-33). If we are given more, it just means that we've been entrusted to use those resources for His kingdom (2 Cor. 8:1-15, Luke 16:1-15). Beware of teachers who spend a lot of time talking about becoming wealthy (1 Tim. 6:10). I believe it is absolutely biblical to call out certain false teachers and beg people to run from their teachings. We see Paul do this in the Scriptures. As I was growing in my faith, I was grateful for radio shows where false teachings were exposed. I have always wanted to be a person who did not shy away from controversy, boldly willing to call out false teachers. In my zeal, I often denounced teachers and denominations without having my facts in order. I was sometimes motivated by pride rather than love. I have had to repent before true brothers in the Lord that I one time slandered. As a dad, it's a terrifying thought to know that I inappropriately slandered one of God's sons or daughters. I still strive to boldly call out false teachers, but I have found it hard to collect accurate data. I am willing to do it, but I want to do it with caution. I will be judged for every careless word spoken (Matt. 12:36). Whether it is due to carelessness or a desire for fame, many Christians have fallen into the worldly practice of creating fake news. Exaggerations are made because it makes things interesting, driving more traffic to their sites, leading to greater revenue and attention. Over the years, many things have been said about me that simply are not true. I can't know the motives, but I am sure it is untrue. In the same way, friends of mine have been misrepresented and their reputations unfairly tarnished. I want to make sure that I am not guilty of the same thing. We live in a time when it is hard to discover the truth about any one person because there are a slew of voices quick to state their opinions as fact. So I now have a team of people researching to try and differentiate between rumors and truth. As I gather that information, I will seek out the teachers and address the issues in a biblical manner (Matt. 18). I will pray for and seek their repentance in love. If there is not repentance, I believe it is right to warn against false teachers and separate from them. I recognize, now more than ever, that sometimes my participation can give the impression that I align with every other speaker at the event. I'm not sure what to do about that other than to tell you that I don't. Unless the elders of my church direct me differently, I will continue to be found preaching in venues with those I disagree. I will preach in just about any kind of setting if I'm given freedom to preach from any passage of scripture. The elders and I are trying to come up with more safeguards for future events to hopefully prevent misunderstandings. Pray for us. I realize that many will not agree with my decision to speak at certain events. I hope you will at least consider the burden of trying to weigh potential outcomes good and bad. Over the past few years, I have seen many people come to truly follow Jesus, have a deeper love for the scriptures, and a deeper commitment to the Great Commission. There are millions of souls that sit under weak or unorthodox teachings. It thrills me to think about what the Spirit might do through His Word in those situations. My personal belief is that there are 2-3 million orthodox American Christians who consume all of the same books, blogs and podcasts. Meanwhile, there are millions who will never hear strong biblical teaching unless teachers are willing to go. I might be fooling myself, but I feel like the Spirit enables me to lovingly confront difficult issues. And I have seen repentance result from it. Chan stepped down from his megachurch in Silicon Valley in 2010 to refocus on the roots of Christianity. Five years ago, he launched We Are Church—a series of house churches based in San Francisco. He says he intentionally began with the two greatest commandments because, traditionally, that's not where most churches start. Listen to the podcast to hear more about The Send.